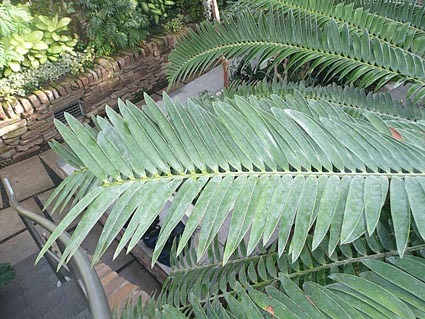 This is the largest cycad in the tropical end of the Ravine. 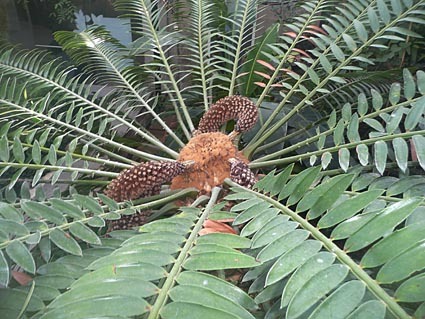 The plant is a male and has recently produced two pollen cones (see photos). 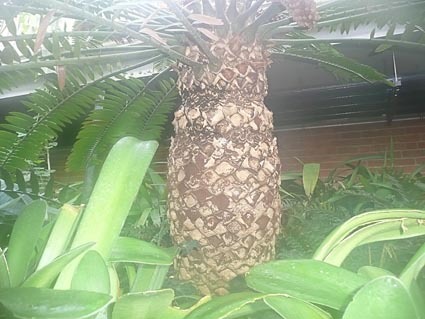 It is one of the plants that had to remain in the Ravine during the building works and was protected by a plastic shelter with special heating. 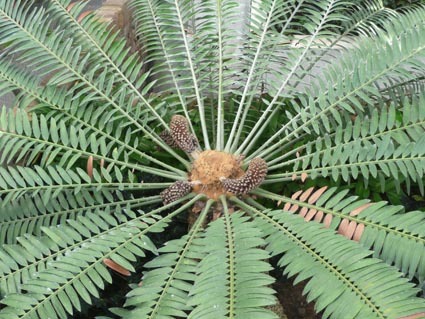 The genus is native to Africa and is endangered due to over enthusiastic plant collectors and also its use in tribal medicine.